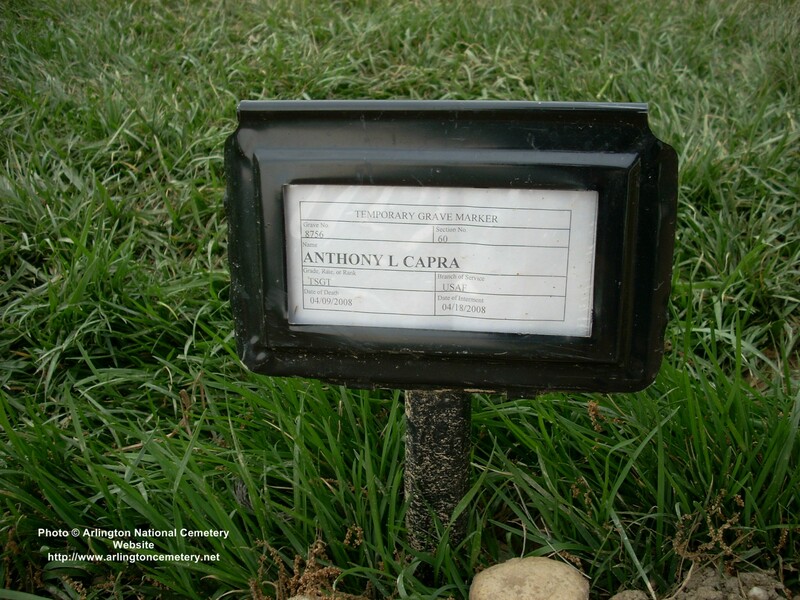 Technical Sergeant Anthony L. Capra, 31, of Hanford, California, died April 9, 2008, near Golden Hills, Iraq, of wounds suffered when he encountered an improvised explosive device. 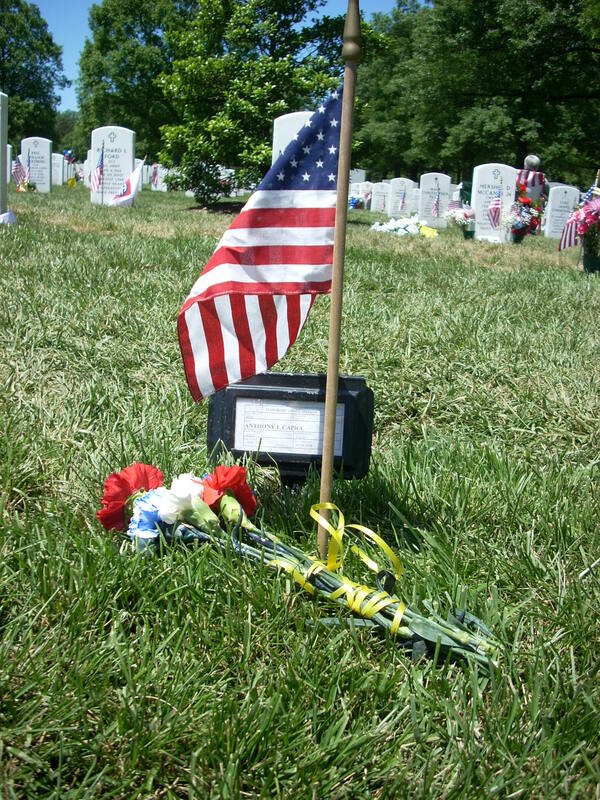 He was assigned to Detachment 63, 688 Armament Systems Squadron, Indian Head City, Maryland. For further information related to this release, please contact the 96th Air Base Wing Air Force Base public affairs office at (850) 882-5987. EGLIN Air Force Base — Air Force Technical Sergeant Anthony L. Capra, 31, died Wednesday thousands of miles away, but memories of the courageous explosive ordnance disposal technician are being relived along the Emerald Coast. A Department of Defense press release issued Thursday stated Capra died from wounds suffered when an improvised explosive device detonated near Golden Hills, Iraq. 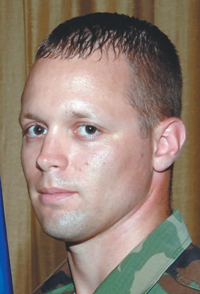 Although he was in Iraq, Capra was assigned to an Eglin’s Detachment 63 of the 688th Armament Systems Squadron. The detachment serves the Defense Department’s EOD program operating out of Indian Head City, Maryland. 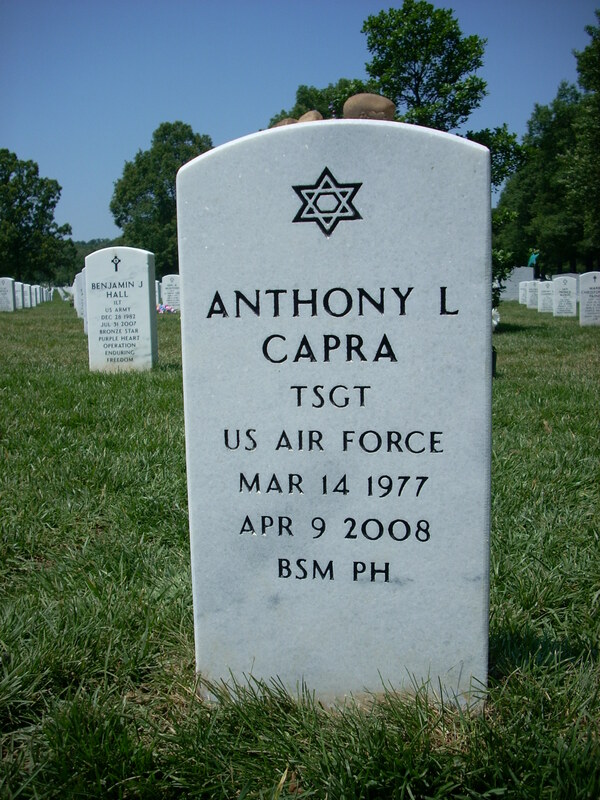 Before that, Capra was assigned to the 96th Civil Engineer Squadron at Eglin from February 2003 to September 2007. No members of his former squadron were available for comment Thursday. 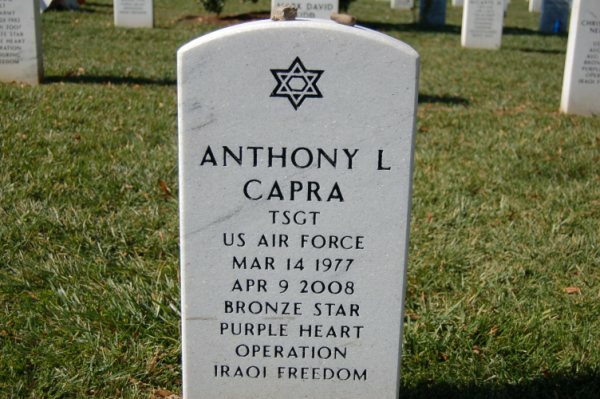 Capra holds many medals and decorations, including a Bronze Star for meritorious service. It was presented to Capra, then a Staff Sergeant, and six others from Eglin’s EOD flight in May 2006 by former 96th Air Base Wing commander Colonel Edmond B. Keith. “From the time that I pin the Bronze Star on their chests, they will become American heroes,” Keith said during the ceremony. EGLIN Air Force Base — Husband, father, son, soccer coach and protector of American soldiers in Iraq are just a few descriptions of Air Force Technical Sergrant Anthony L. Capra. The 31-year-old Eglin Air Force Base explosive ordnance technician was stationed at Naval Surface Warfare Center Indian Head Division, Md. He died Wednesday in northern Iraq after a roadside bomb detonated. Capra’s former boss, Captain Shane Frith, commander of the 96th Civil Engineer Squadron EOD Flight, characterized Capra as very capable and packed with a sense of humor. Frith added that Capra was a family man to the core. He and his wife have five children and came from large families themselves. Capra was working from an Army forward operating base north of Balad Air Base, Frith said. He was on the “in lieu of” deployment to help the Army fill a manpower need for explosive ordnance disposal. Frith said Capra had disarmed a roadside bomb when a hidden, secondary bomb triggered. Capra died of his wounds. He said ordnance disposal is risky, but that did little to soften the blow of his friend’s death. 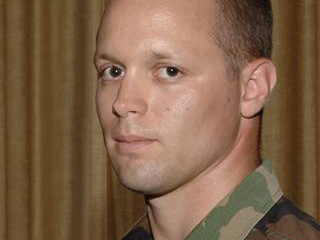 Hollar and Capra received Bronze Stars for meritorious service on the same day in 2006. During the ceremony at Eglin, Hollar also received a Purple Heart medal for injuries he sustained while disarming an improvised explosive device. Hollar said Capra’s know-how had him working in two subsets of ordnance disposal at the 96th CES flight, robotics and “specialized exploitation.” Specialized exploitation determines how foreign munitions, particularly IEDs, function and how they can be disarmed. Staff Sergeant Amanda Bryant also praised Capra. Some of her words came with tearing eyes. “He was great to work with. He really believed in what he was doing. He was always smiling no matter what,” she said. Bryant, who works on electronics at the EOD flight, said Capra was a quick learner, but it was his warmth that kept coming up. “He was the sweetest … person you will ever meet. He would help anybody,” said Bryant.